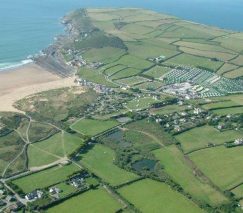 Croyde Bay is one of Devon’s most dazzling attractions. The scenic and action-packed location draws many happy new and returning holiday home owners each year. Owners who choose to buy a lodge at Ruda, frequently visit their holiday home from home throughout the season and often bring friends and family along to stay with them, to make the most of the fantastic surfing and swimming opportunities in and around the Bay, aswell as the vast array of attractions. Right beside the golden sandy beach, Ruda itself boasts first class facilities, with it’s indoor tropical adventure pool, beach cafe, restaurant, adventure playground, wildlife trail and even it’s own tennis court. So whether you want to dive right in and hurry back to your lodge to enjoy adventurous breaks time after time, or you dream of the idyllic beachside location with a book in hand, Ruda has the perfect balance. Take the time to unwind and combine luxury lodge living with Ruda’s naturally therapeutic coastal setting. Ruda is right on the glimmering golden sands of Croyde Bay. Admire the ocean views, soak up the sun and watch as surfers glide along the waves. Or dive right in and have a go. It’s a surfer’s paradise (and we offer our very own surf-school)! A heated indoor adventure pool, adventure playground, soft play and beach cafe make family days feel simply effortless. Only a small collection of beautiful lodges add to the exclusivity of being a luxury lodge owner here.